Manage your projects for free! Create new releases and configure previous ones in a hassle-free environment that gives you full control of the release process. Managing your tickets in StanTeam is straightforward, and you can set the priority on any tickets you make. A wide breadth of options is at your fingertips with the task feature, where you can set milestones and report how near completion the task is. You'll have organization at its finest with StanTeam’s File feature, which enables you to create new folders and files, add notes. Test cases is one of the most important aspects of project management, and we've made it pretty painless for you to do just that. Because every project needs time cards in order to boost productivity and make sure your team is on the high road to success. Workflow at StanTeam is highly configurable and makes your approval process more easily. Project management can be a pain particularly when project demands a fast delivery and has frequent changes. But it doesn't really need to be like that if you choose a right way to do. Agile project management is an iterative and incremental method of managing the design and development activities in a highly flexible and interactive way. Using agile project management your team can break down the requirements and deliver them by priorities in releases. It accelerates the delivery of initial business values, and through a process of continuous planning and feedback, is able to adapt to changing requirements. 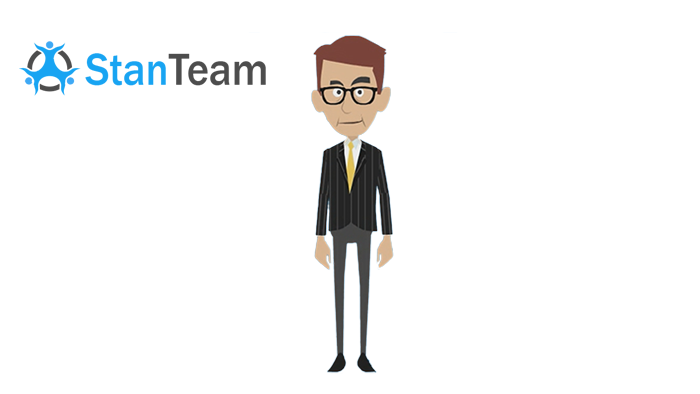 StanTeam is a cloud based Software as a Service (SaaS) for project management. It's an online software package wrapped up with a suite of features and tools that let you grapple with the toughest projects and successfully manage them. At StanTeam for every project your team can assign and prioritize functionality to be delivered within a release. Each release can include milestones, tasks, tickets, test cases, and files. The workflow function allows you to build workflows that can be shared and reused among releases. StanTeam is FREE and there is no cost for you to use all the features. While we're starting with only a few primary features, we'll keep improving and refining StanTeam, shaping it into a highly potent and powerful way to take charge of your projects. We build StanTeam with StanTeam!